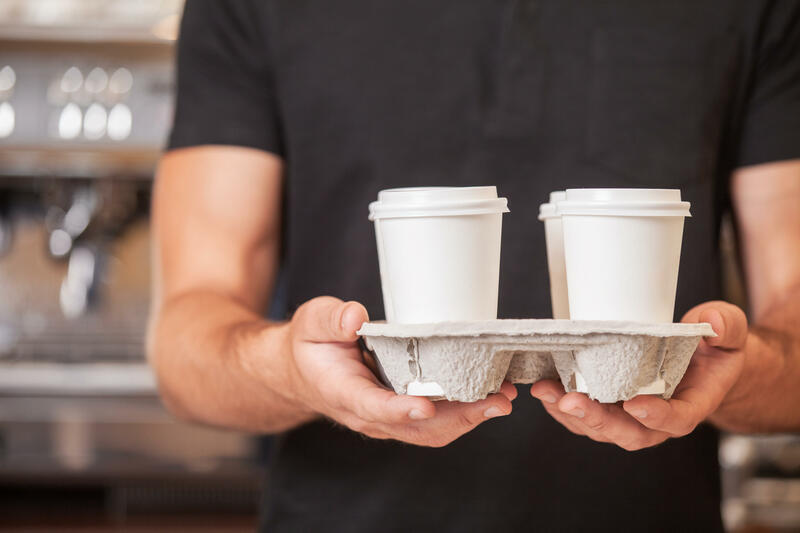 British lawmakers are calling for a tax on disposable coffee cups sold at retail establishments in a bid to reduce litter and refuse sent to landfills. The U.K. parliament's Environmental Audit Committee wants a so-called "latte levy" of 25 pence (about 33 cents) slapped on each cup sold, with the idea being to encourage coffee consumers to bring their own reusable cups. "The UK throws away 2.5 billion disposable coffee cups every year -- that's enough to circle the planet five and a half times," admonished committee chair Mary Creagh, according to CBS News partner network BBC News. "Almost none are recycled and half a million a day are littered. Coffee cup producers and distributors have not taken action to rectify this and government has sat on its hands. The UK's coffee shop market is expanding rapidly, so we need to kick start a revolution in recycling." The government, led by Prime Minister Theresa May, expressed agreement that more measures were needed to reduce the amount of plastic waste discarded in Britain, but said it would wait to see evidence on the efficacy of such taxes on single-use packaging. One of the world's biggest coffee retailers wasn't waiting, however. Starbucks said it would begin applying a more modest 5 pence per-cup charge in a couple dozen of its London stores in February. The trial was to last three months, and Starbucks noted that it already offers a 25 pence discount to customers who bring in their own cups. There is predictable opposition to the idea of a per-disposable cup tax by the people who make such cups in Britain. Mike Turner, of the Paper Cup Alliance, told the BBC that paper cups are the most safe, sustainable solution for Britons to enjoy beverages on the go. "The paper cups we manufacture in the UK are sustainably sourced, responsibly produced, recyclable and, through a number of facilities, are being recycled. We are committed to increasing recycling rates," he told the BBC. Tim Farron, leader of the U.K.'s Liberal Democrats party, which has long backed such a cup tax, disagrees. "I'm glad our call for a coffee cup charge is gaining traction," he said. "The evidence is clear that these levies work -- the 5p charge on plastic bags has massively reduced usage and helped protect our environment."